Make your payment with your VISA, MASTERCARD, DISCOVER, AMERICAN EXPRESS OR Electronic Check through PayPal! 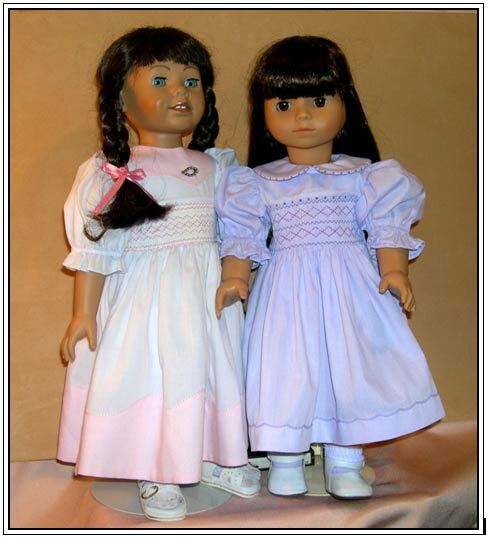 This pattern includes pattern pieces and instructions for creating a smocked yoke dress, with or without a collar, for an 18” doll. 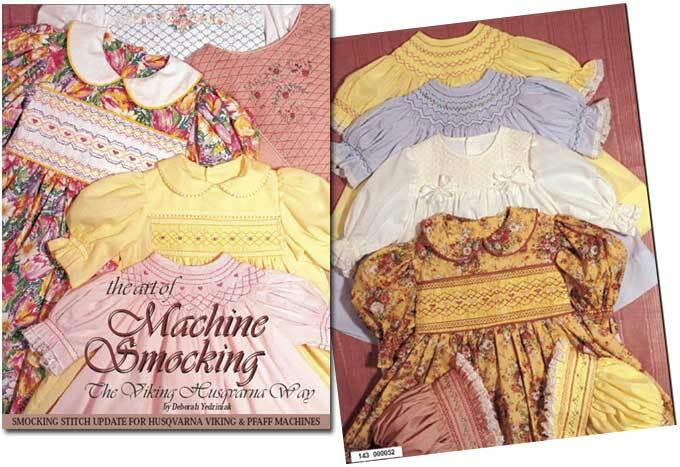 Three smocking designs are also included. The smocking can be done by machine or by hand. Bonus ~ templates for the optional Madeira neckline and hem. 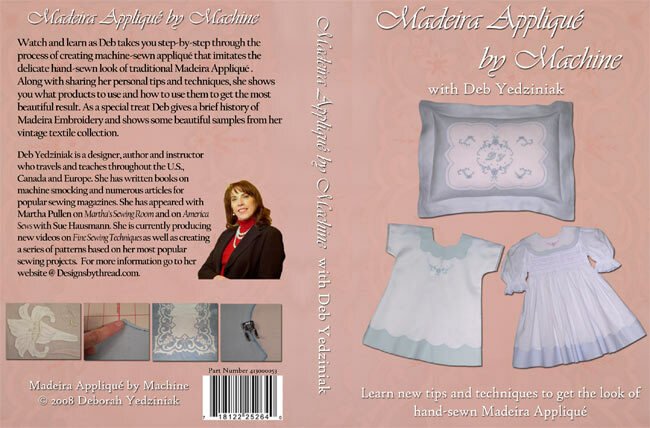 Watch and learn as Deb takes you step-by-step through the process of creating machine –sewn appliqué that imitates the delicate hand-sewn look of traditional Madeira Applique. She explains how to make bands, frames and motifs. Along with her sewing tips she will also share samples from her vintage textile collection and the history of this handwork. 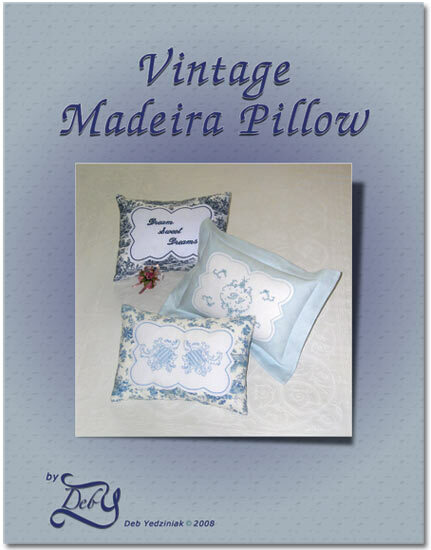 This pretty pillow cover features the lovely technique of Madeira Applique that creates the frame for the center panel of the pillow front. The appliqué is sewn with hemstitching and Gimpwork outlines the frame. Embroider the center panel or use a fabric with an interesting motif. This pattern uses the newest and easiest technique possible. No hand sewing! This pattern is a great first project and compliments the Madeira Appliqué by Machine DVD. 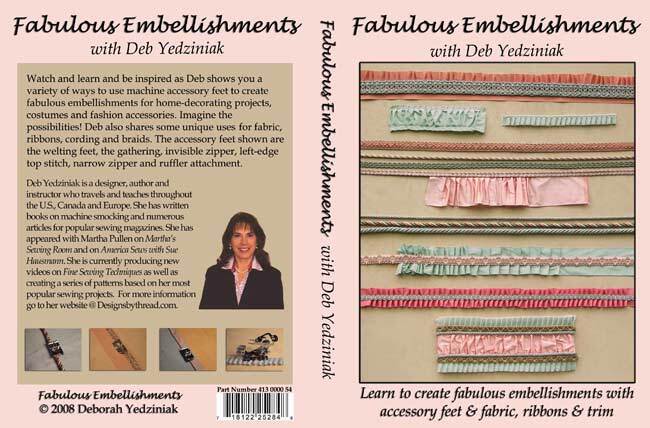 Watch and learn as Deb shows you a variety of ways to use cording and ribbons and fabrics and your machine accessory feet (welting, gathering, left-edge topstitch, invisible zipper, ruffler) to create fabulous embellishments for home-decorating projects, costumes and fashion accessories. Learn how to easily create ruffles and ruching and puffing and so much more! Make some fabulous pillows to add a decorative accent that will brighten up any room. Be creative using fabrics and trims. Make ruffles and ruching and puffing to add texture and visual interest. The pillow covers are made with 3-5 panels that are sewn together and embellished. 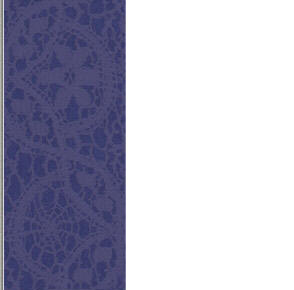 Decorate the center panel with a favorite embroidery motif. You are the designer. 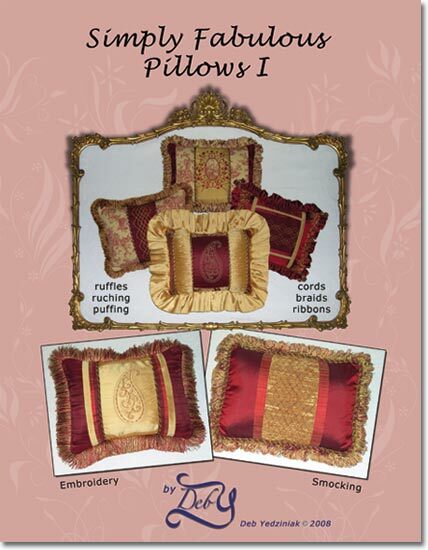 Select your fabric and colors and how you want to embellish the pillows. This pattern is made to fit a 12” x 16” purchased pillow form. 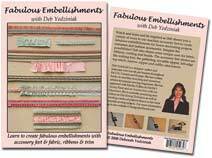 This pattern compliments the Fabulous Embellishments DVD. Make some more fabulous pillows in different sizes and a different shape! 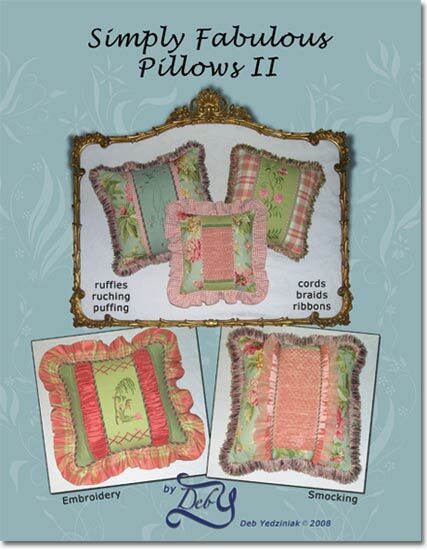 Decorate these pillows as above using decorative trims and ruffles and ruching. These are square 3-5 panel pillows that range in size from 14”, 16” and 18”. These pillows are really fun to make and add that custom look to any room in the house. As with Pillows I, you are the designer, so be creative with your choice of fabrics and trims and have more fun making these pillows. Like to smock? But have no one to smock for? Then take your hand or machine smocking and create a smocked panel to embellish a pillow to match your décor or make one as a gift for a favorite friend. So forget about not having a child to smock for when you can use your smocking as an embellishment on a custom-made pillow. The pillow covers are meant to fit rectangular 12” x 16” or square 12” or 14” pillow forms. 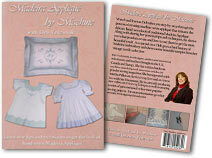 This book covers the basics for pleating fabric and preparing it for smocking by machine. There are stitch keys for Pfaff and Husqvarna Viking computerized sewing machines with a programmable memory. Or use built-in decorative or smocking stitches. 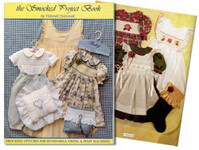 Also included are a variety of smocking designs as well as patterns for projects for you to create, from a Christmas stocking to child’s pinafore or a lady’s nightgown. This book is no longer in print, however, it is now available as a PDF file on CD. Read through the pages on your computer and make copies of the pages you want for instructions or designs. 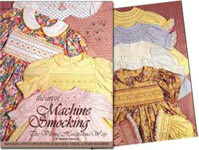 This was the first book for machine smocking. There are a variety of designs. Also included is the ever popular baby bonnet and how to prepare to machine smock a Bishop style dress, with 3 round yoke designs. This is an instructional Cd video meant to be played on a computer. Watch and learn how to pleat fabric and smock by machine. There are also PDF files that you can print out with instructions for three projects: a baby bonnet, an 18” doll dress and a pillow. This instructional CD video is meant to be played on a computer. Learn how to go beyond pleating fabric for smocking. See how easy it is to gather fabric with a pleater and make ruffles, ruching and perfect pleater puffing for heirloom sewing. So easy!! For textile artists, see how pleated fabric adds another dimension to decorative stitching, adding that “organic” look! This is a collection of 16 smocked embroideries to be stitched in the hoop. 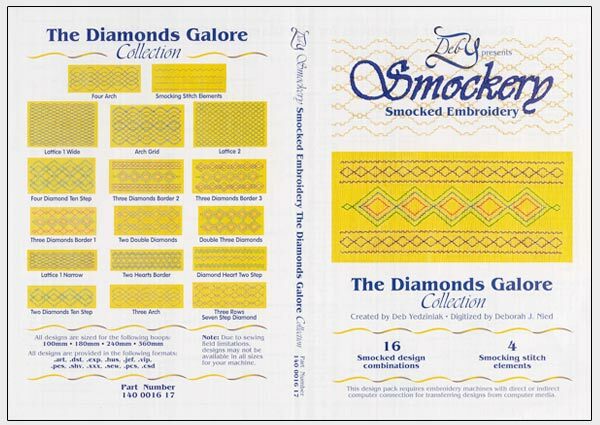 Also included are 4 single smocking stitch elements to create your own stitch designs. The designs are in 4 hoop sizes ranging from 100x100, 180x130, 240x150 and 360x150 (ranging from 4” to 14” in width). Pleat and stabilize the fabric, hoop it up and let your embroidery machine do all the work. 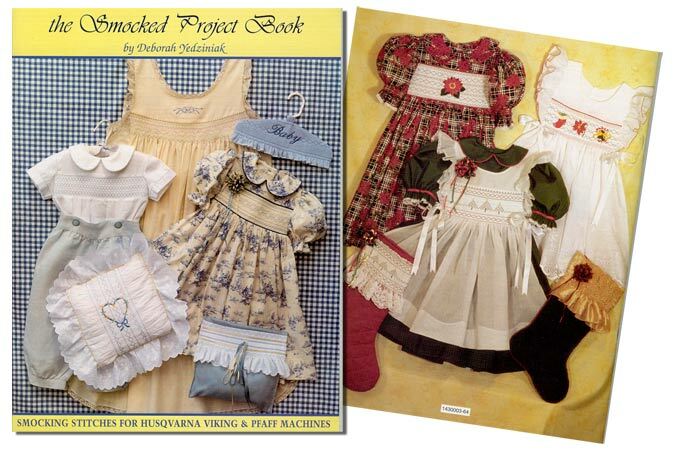 These purse projects take smocking out of the realm of smocking for children. 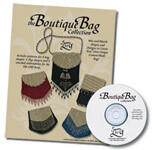 This collections features patterns and instructions and a CD with 5 smocked embroidery designs in a 5”x7” format for the smocked flap on the bag. 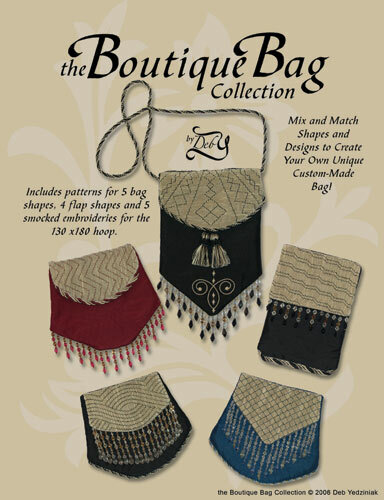 The variety of shapes allows you to mix and match flap and bag shapes to create a unique bag.